Ellsen Overhead Crane With Complete Safety Protection Devices Can Prolong Crane's Service Life And Protect Operator's Security! 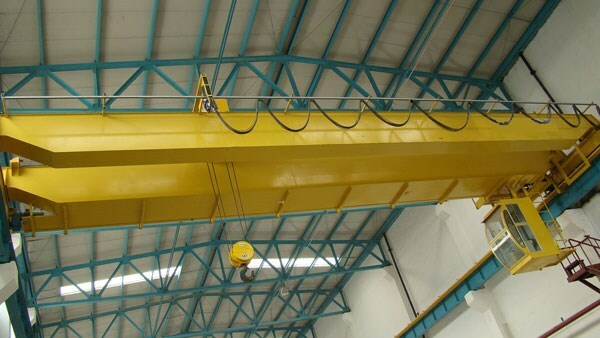 Overhead crane safety is a key point that customers care about, because it is related to the lift-time of crane itself and safety of operator. 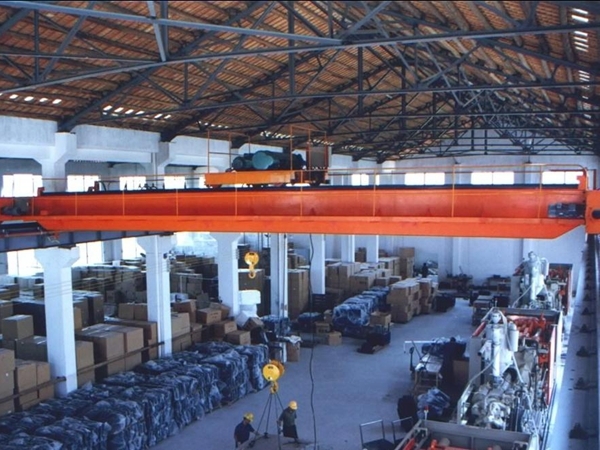 Ellsen Company, a famous crane manufacture in China, provides types of cranes with complete safety protection devices. Its safety function is that when the lifting weight is over the rated value, the crane stops lifting to avoid overload accident. It is kind of safety device that is installed at the end of the metal structure of track-travelling cranes. It has secure functions of absorbing collision energy of travelling mechanism, reducing the impulsion. Rail cranes working outdoor should be equipped with anti-wind and anti-slip devices, because these safety devices can avoid outdoor cranes slide along the rail in windy day. Its safety function is that when the crane encounters the strongest wind not in the working state, the crane can’t be blown away and will not overturn at the end of the rail. Common anti-wind devices have clip-rail, rail anchor device, iron wedge stopper. It is also called travelling limiter. When the crane mechanism is working and travelling near the limit-position, the limit-position limiter can automatically cut off the power and stop the mechanism moving. Limit-position limiter has three types: lifting type, dropping type and travelling type. 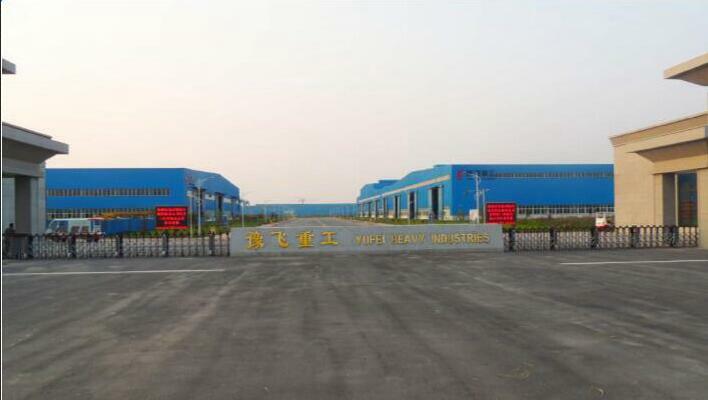 It can connect the state of interlocking with the movement of working mechanism. When the switch is on, the corresponding restricted mechanism can’t start, only when the switch is off, the interlocking mechanism can work. Interlocking protection can avoid the crane mechanism working in certain conditions and hurting people. 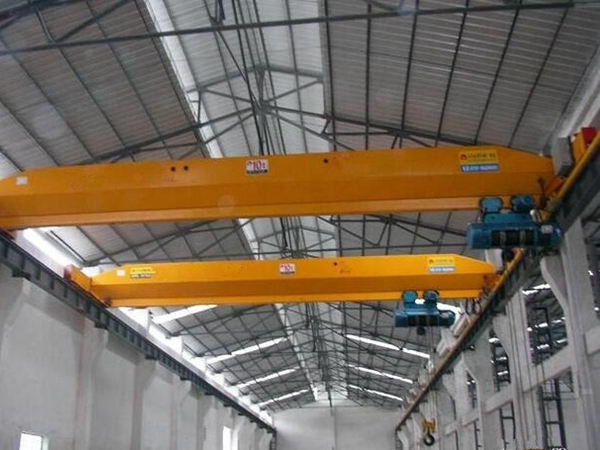 It is necessary to set up zero position device, because lifting mechanism, crane travelling mechanism and trolley travelling mechanism are controlled respectively by three operation devices. Its protection function is that if only one mechanism’ controller is not on the zero position, all mechanisms can’t start. Only set all mechanisms’ controllers on zero position, the working mechanism can start. All cranes must be installed with emergency switch to cut off the power quickly in emergency. And it should be set on the place that makes the operator convenient. Understanding how you should use cranes as well as how not to use them is critical to safety. Myths surround overload, daily inspections, side pull, and limit switches in the workplace. Read on to learn more about each of these myths and learn the importance of paying attention to overhead crane safety. Myth: You never have to worry about overloading of the crane since the manufacturer has built in a huge safety margin into the crane’s design. Reality: This is probably one of the most dangerous myths surrounding overhead crane operation. Even though some cranes have a built-in safety factor, it simply is not true for the entire crane system. In addition, the crane is usually attached to a building without the same safety structures. Guarantee the safety of your workplace by ensuring that you never overload your cranes. This is the only way you can ensure that no nasty incident ever happens. Myth: So long as the hoist has ample rope, you can pull a small piece of steel out of the adjoining bay with no problems especially if you are picking up a piece well below capacity. Reality: This is another common mistake associated with overhead crane operation. Cranes and hoists are designed for only lifting objects and loads straight up and lowering them straight down. Using equipment in the right way is the only way to ensure that you never witness any unwanted incidents. Therefore, only use the crane in the prescribed manner. Myth: When you require lift, you require all the height you can get, therefore you need to lift until you hit the upper limit switch. Reality: While this might seem like common sense, it is simply wrong. The upper limit switch is for ensuring that the hook assembly doesn’t collide with the drum. It is thus a safety device rather than an operational one. If you experience failure of the upper limit switch, the drum, and hook block will collide and the wire will most likely fail thereby dropping the load. Avoid using the upper limit switch in ways it was not intended and you will be safe. Myth: The crane was in perfect working order yesterday so it should be in working today too. Reality: Daily inspection is probably one of the most overlooked rules of crane operation. While OSHA demands it, few companies comply. Inspection does not even require maintenance personnel, just some common sense. The inspection should take the operator about a minute at the start of every work shift. In conclusion, the four myths discussed in this article represent only a tiny fraction of all the issues involved in crane safety. However, the four comprise the overwhelming majority of all crane breakdowns and accidents. To ensure that your workplace remains safe for all and that your equipment does not fail constantly, it is important for everyone in the workplace to understand these four topics. Chances are that you will not witness any nasty accidents and incidents. 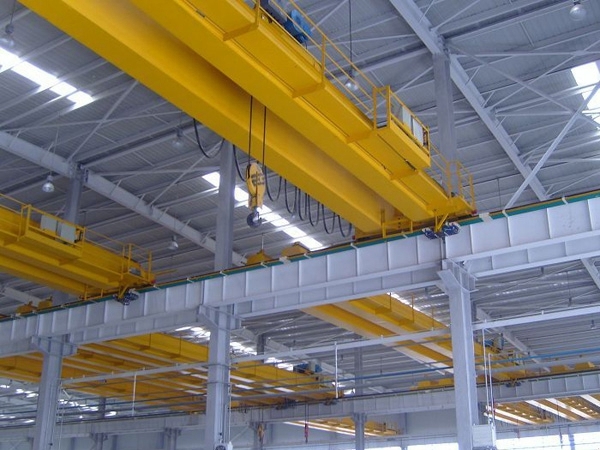 Overhead cranes can make a world of difference in how easy it is for businesses to get work done. They significantly improve efficiency when it comes to moving items that are large or heavy around a building or onto waiting trucks, trains, or ships. Despite all of their benefits, however, when used incorrectly, they can be quite dangerous. 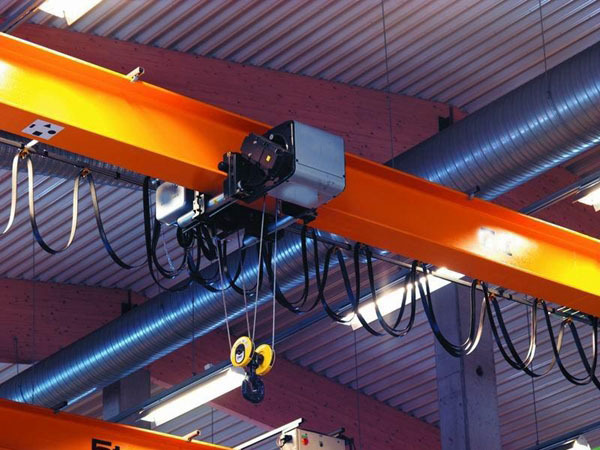 Because of this, it is absolutely imperative to make overhead crane safety one of your top priorities. 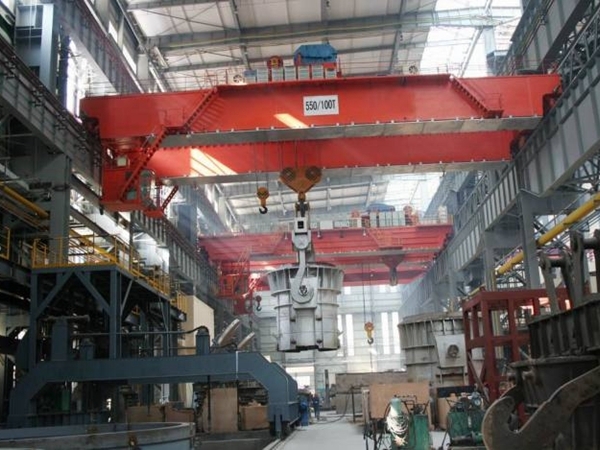 There are a lot of things that could go wrong with an overhead crane if it is not used properly. For instance, if loads are not properly attached to the hoist, they could fall off while being moved. This obviously could result in injuries to any workers who happen to be nearby. Loads that are allowed to swing or twist from the crane can also pose a serious safety hazard. They could bump into workers or slip and fall off of the crane, causing injuries along the way. The good news is that all of these problems are easily preventable. 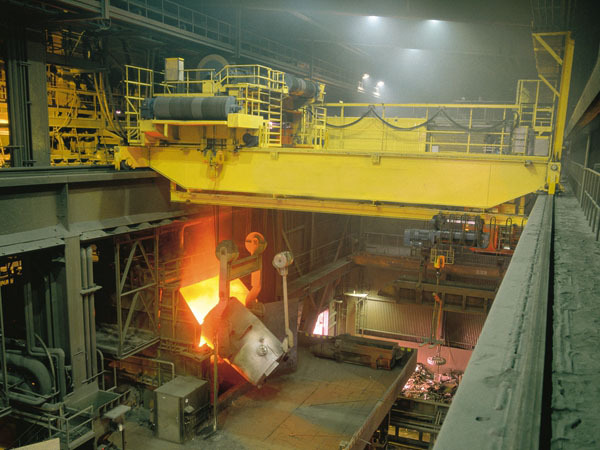 All that it takes to safely operate an overhead crane is proper training. As long as your workers know how to correctly use one of these cranes, the risk of accidents or injuries is relatively small. To ensure safe operation, anyone who uses your crane should undergo safety training. During this training, they should learn the proper procedures for using the crane. This includes learning how to attach loads to the crane, how to gently lift them off the ground so that they don’t start swinging, and how to keep the area clear while loads are being moved. This type of training can help minimize the risk associated with using one of these cranes. In addition, all workers who work in the same location as the crane should be trained to avoid the area where the crane is operating. This is true whether or not they themselves operate the crane. Even a passing worker can be injured if they are in the wrong place at the wrong time. All employees need to be aware of what the crane is doing at all times and should be aware of which areas to stay out of to avoid potential harm. When you purchase your crane, it should come with a user manual. This manual should clearly outline safety procedures that are specific to the crane that you purchase. You can use this information to put together a training program for your employees. Alternatively, you can have someone from the company that you purchase the crane from come in and conduct the training themselves. 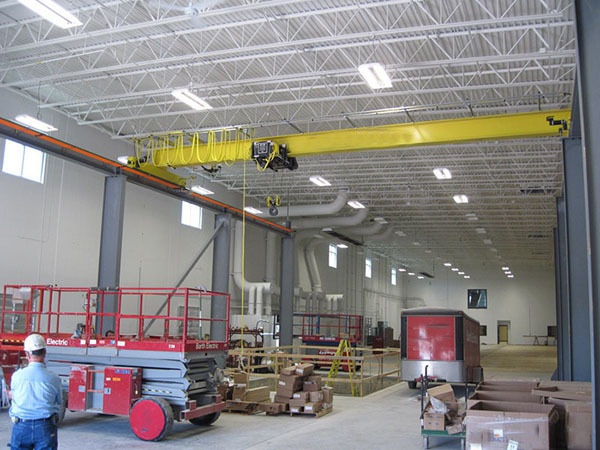 Making overhead crane safety a top priority for your business is extremely important. That way, you can take advantage of all of the benefits that these cranes have to offer without having to worry about your workers getting injured by the crane. The good news is that safe operation is something that can be taught. As long as all of your employees undergo the proper training, you shouldn’t have any problems with your crane.